The Junior Science Olympiad is a prestigious competition organized by the well-known Kendriya Vidyalaya Sangathan for students of class X to XII. The JSO is also a qualification test for the National Standard Examination in Junior Science (NSEJS). The syllabus of JSO includes basic pre-degree level science. The questions are asked on topics up to class X of CBSE. However, no confirmed guidelines of the detailed list of topics included under the paper is given by KVS. The questions asked in the JSO are quite sophisticated with a high level of difficulty. This is also important as the JMO acts as a prelim exam for the National Standard Examination in Junior Science (NSEJS).Also the students who qualify the stage 1 of the exam will be given training to enter the Indian National Junior Science Olympiad (INJSO). The exam is held tentatively in the month of August-September and the official notification of the exam is out in the month of June/July. The cut-offs for the NSEJS 2017-18 is 94. Interested students need to fill out the application form available to them from their schools. 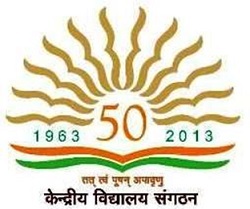 KVS does not accept forms of individual students sent to them directly. Merit certificates are given to students who score at least 35% in JMO. JMO is held at the regional, national and international level covering countries like India, America and UK.